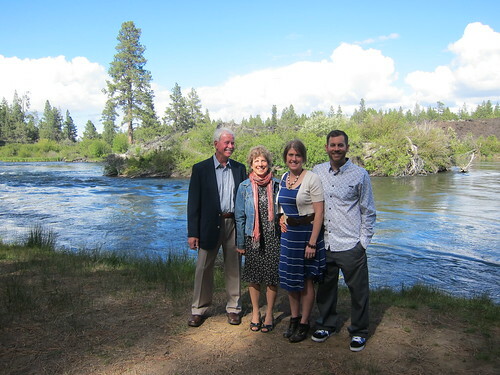 The month of May took us to Bend, Ore. for my cousin Shannon’s wedding. 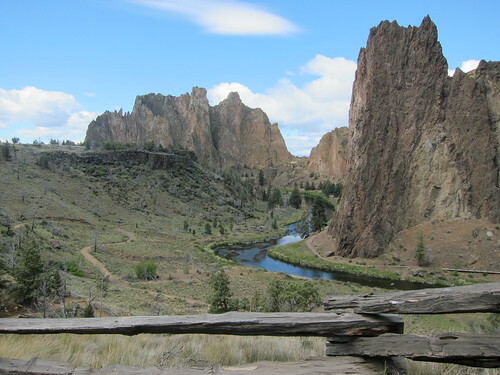 I’ve up until now tried to avoid Bend purely on the principle that I’ve heard it’s a multi-sport mecca, and if we were to visit, that we would never leave. Not far from the truth. Bend went something like this: Breakfast, Coffee, give Lucy to Grandma and Bubba, Bike, Coffee, Dinner, Bed. Lunch somewhere thrown in. There was some beer in there as well for me. Did I mention Coffee? Rather than a tour-de-beer, we did a tour-de-coffee (something we both can agree on…). And the riding, oh the riding. Saturday: Whoops. Sunday: Tiddlywinks. Monday: I let my mom use my bike, they rode Funner (in a downpour). Tuesday: Mzarak. Awesome. Plus riding around Bend is great with all the bike paths. It was the “rainy” season in Bend (HA! What do they know about rainy seasons…), and mid-way through the week there was a “break” in the weather and so we loaded up the van and went to Smith Rock for the day with the aforementioned Sbarras. They have a 3 month old, and so with grandparents, small people and a new mom in tow, we spent a few hours at this desert oasis climbing and enjoying the sun. Oh, how I miss the desert. Wedding? Oh yeah, right. Thanks Shannon and Jacob for getting married so we could enjoy such a great vacation!! And it was fun seeing some Dickinson family I haven’t seen much since we left CO.
After six days in Bend, we reloaded the minivan with my mom in tow and headed to the coast. As I mentioned, it was the rainy season, and Western Oregon is always the rainy season, but driving on the 101 was still amazing. We stopped in Lincoln City for some beach time and then made our way to Nehalem Bay where we rented a yurt in a State Park. My friend Laura met us for the night, and we dined on a Farmer’s Market dinner with Nehalem Bay wine. Perfect. A continued drive up the coast to Manzanita for coffee, then Cannon Beach for the obligatory picture of Haystack Rock and more coffee, to Portland for lunch with a family friend (and not coffee…but drinking chocolate, and a Trader Joe’s stop), then finished the day in Hood River to see Mark and Sarah. Only Mark flew out that morning. Sorry Mark! 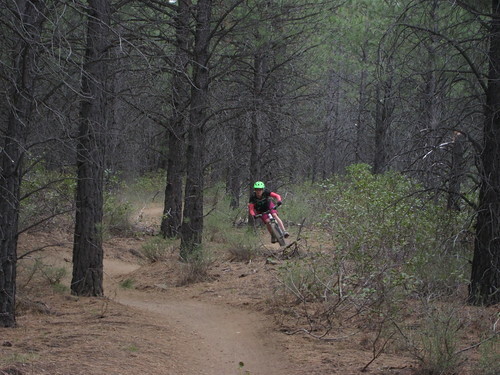 A ride on Saturday morning on the Syncline trail before heading to CDA followed the next day with dropping my mom in Spokane at the airport and then home. I’m tired just remembering the last few days of the trip!